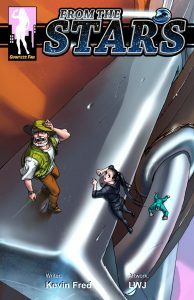 Between the various mini-gts, unaware, and gentle giantess titles we’ve been releasing recently, it seems as if we here at Giantess Fan haven’t been doing nearly enough to cater to those with a taste for giantesses of a crueller nature. If you happen to be one of those readers, then I have great news: Don’t Mess With Margo is here to make up for lost time with the debut of our most sadistic and destructive giantess in years. ALSO: What did you think about Don’t Mess With Margo? Let us know your feedback in the comments section to help us improve!